Phoenix celebrated a big night; after all, what better way to conclude a nearly two year run than finish at New York’s prestigious Madison Square Garden – the echelon of all music venues. But, thanks to an encore featuring a rather high-profile electric duo, the French rockers might have just dished out the most memorable concert of 2010. 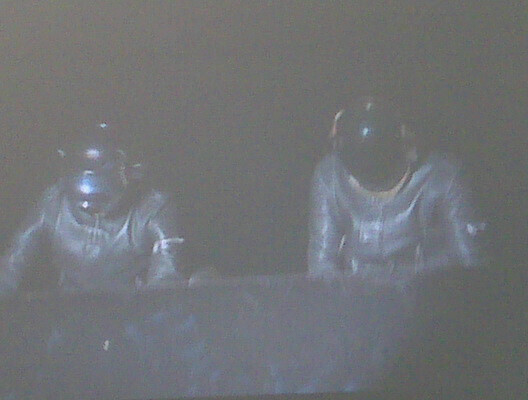 After all, who else on the live circuit can say they were joined by Daft Punk? The legendary French duo celebrated with Phoenix by making their first live appearance in three years, joining in on set closer, “1901”. Yes, this really happened, and possibly more as well, but it’s hard to make out what exactly happened amidst all the chaotic, OMFG Tweets. Update: BrooklynVegan reports they also played “Harder, Better, Faster, Stronger” and “Around The World”. 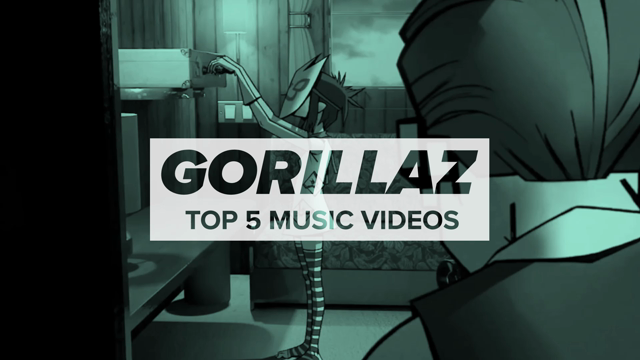 Below, you can find videos from the performance. As you’ll see, Phoenix appear to cut the lights during their performance “If I Ever Feel Better” before Daft Punk unexpectedly emerge to the cries of disbelief. Some pretty surreal stuff, people. 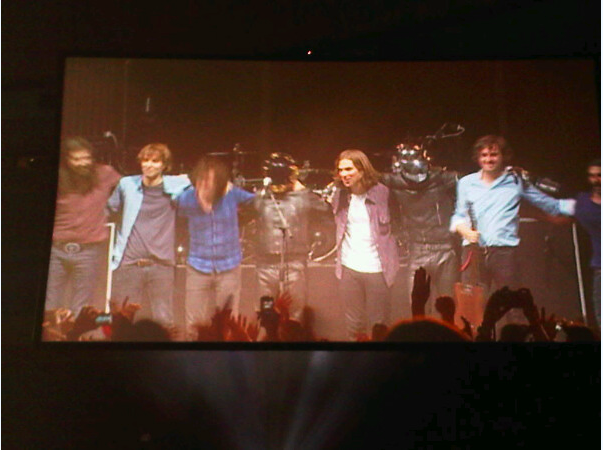 Daft Punk then launch into a mix of “Harder, Better, Faster, Stronger” and “Around The World”, with Phoenix making it full-band rendition about mid-way. The two power houses then close by teaming up for a performance of Phoenix’s hit “1901”. 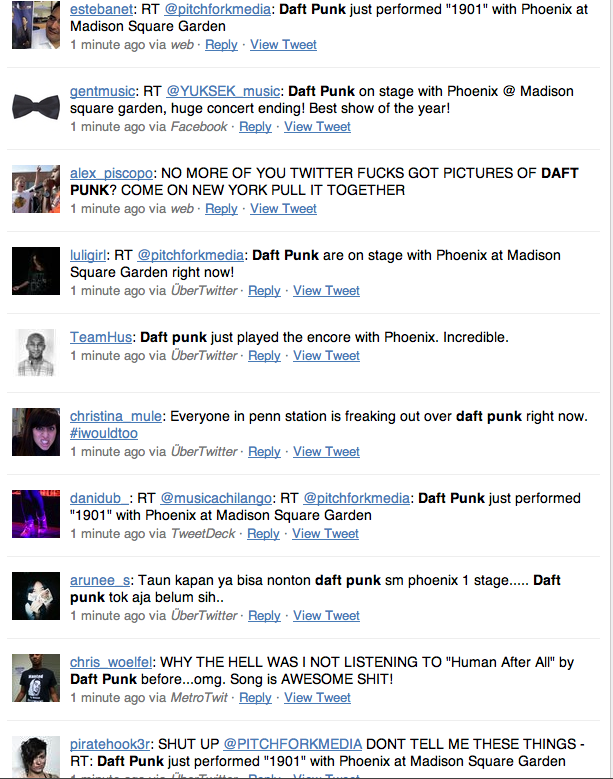 Also, for those wondering the connection between Daft Punk and Phoenix: Obviously, they’re both French. Plus, Phoenix guitarist was in the short lived band Darlin’ with Daft Punk members Thomas Bangalter and Guy-Manuel de Homem-Christo.